Registrations will be available on site. All fees are fixed in U.S. dollars and will be charged in USD on the conference registration form. Amounts given in Brazilian Reais are approximate and subject to change as currency rates fluctuate. If you have any difficult during your registration payment by credit card (Cielo), you can choose PayPal as a payment option. As PayPal payment confirmation on the system is not automatic, like Cielo; after the transaction be completed, please send the payment receipt to the email: info@ser2017@org.br. The confirmation message in your email may take up to 3 days to be received. PayPal payment can´t be divided into installments. Registration fees include full access to all conference sessions; buffet lunches and coffee breaks on all four days of the conference program; participation at non-ticketed social events including the welcome reception and farewell reception; and conference materials including a bag, name badge and program book. Additional fees are required for pre-conference training courses, mid-week field trips, and the conference dinner. Member Rates: Current members of SER, SOBRE or SIACRE are eligible for special discounted rates, as indicated in the table. You must be a current member in good standing at the time you register and provide your member number or code where indicated on the form. If your membership has lapsed and you select this rate in error, we will change your registration category to ‘non-member’ and ask that you pay the difference. For information about joining any of the societies, please visit the websites for SER, SOBRE or SIACRE. Developing Country Rates: Attendees from developing countries are also eligible for discounted rates. For the purposes of SER2017, a developing country is any country classified by the World Bank as a Low-Income Economy, Lower-Middle-Income Economy or Upper-Middle-Income Economy. 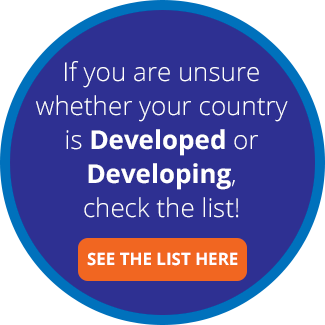 Click here for a list of countries in each of these groupings. Student Rates: Attendees in this category must be full-time graduate or undergraduate students currently enrolled at a university. Students will be required to upload documentation as part of the registration process confirming their status. Accompanying Partners: Foz do Iguassu and the surrounding region is a wonderful destination for tourism activities. If you would like to bring a guest with you to the conference, we are offering a special Accompanying Partner registration category that includes lunches at the conference center on all four days of the conference program; access to non-ticketed social events including the welcome reception and farewell reception; and access to the conference dinner. Guests will also have the option to register separately for daily excursions during the four days when the conference is in session. More information about the excursions is provided here. Please note: Accompanying Partners will not be given access to conference sessions. You are invited to make a volunteer donation to compensate for your own impact, particularly your travel. To know more details of the Carbons Offsetts Program, please click here. Several one-day training courses will be offered on Saturday, August 26 and Sunday, August 27. The list with the options will be soon available. Courses will run for the full day and will be held offsite at the Itaipu Technological Park. The course registration fee includes transportation to and from Recanto Cataratas as well as lunch and light refreshments. Delegates will have the opportunity to take part of a volunteer event on Sunday Aug 27th, which will include a restoration project implementation and/or maintenance in a site near by the Iguassu National Park. Delegates willing to participate will be asked to register, only for planning purposes, although no registration fee will be charged for that. Please be aware that there is a limited number of places and in case you give up attending, please cancel your registration in time to allow other people to participate. Transportation, refreshments and beverages will be provided. Further details here. Technical field trips to a number of sites near Foz do Iguassu will be offered on Wednesday, August 30. Please click here to view the list of options. Join us for the conference dinner on Thursday, August 31. We will enjoy a variety of regional foods as well as drinks and entertainment. The festivities will also include an awards program to honor the recipients of the 2017 SER Awards. The cost to attend the dinner is $50 as May 31st; $60 as Aug 18th and $70 on site. Attendees traveling to the conference from outside Brazil may be required to obtain a visa. This includes travelers from North America. Visa requirements for Brazil are based on the principle of reciprocity—if Brazilian nationals are required to obtain a visa to visit your country, then you are likely required to obtain a visa for travel to Brazil. All conference attendees are advised to consult their local Brazilian Embassy or Consulate for country-specific entry requirements that may apply to them. See: www.itamaraty.gov.br/en/brazilian-missions-abroad. Please click here for more information. We highly encourage you to begin making travel plans as early as possible to allow sufficient time for the visa application process. Foz do Iguassu offers a huge number of lodging options for all budgets, from first class resorts to hostels and flats. Blumar is the official travel agency of the event and is available for quotations and reservations in several hotels in the city. Please click here for details about available hotel options. Blumar is the official travel agency of the event and has negotiated excellent rates on domestic flights inside Brazil for all participants, with DISCOUNTS UP TO 15%. Blumar can also assist you in purchasing international airfare, although rates may be lower through popular travel sites. Please click here to view flight options. If you book your own travel, keep in mind that it can sometimes be cheaper, depending on your point of origin, to purchase airfare to one of the major cities in Brazil (Rio de Janeiro, São Paulo, Brasilia) and buy a separate ticket to Foz do Iguaçu on one of the domestic carriers. If you do this, we recommend allowing several hours between flights in case of any delays, and also ensuring that both your international flight and your domestic flight are from the same airport (Guarulhos/airport code GRU) if you are flying through Sao Paulo). People who book separate international and domestic flight tickets should be aware of differences in bagagge alowances between both. Flying internationally you are able to bring as much as 2 x 32 kg (from North America) , and only 1 x 23 kg for domestic flights. For domestic flights in Brazil companies have recently been allowed to charge for checked bagagge, either. For cancellations received on or before July 28, 2017, the conference will refund 80% of the total registration cost, including any fees for optional activities. No refunds of any kind will be given for cancellation requests received after July 28, 2017. All cancellations requests must be sent in writing to info@ser2017.org. No-shows (i.e. attendees who register for the conference, but do not appear) will not receive a refund of any kind either. The opportunity to bring restoration professionals from around the world together in one place is an exciting and invaluable one. We recognize, however, that large events such as this have a significant environmental impact and that the nature of our mission brings a unique responsibility to offset this impact to the extent possible. In addition to choosing environmentally friendly alternatives where feasible to reduce the footprint of SER2017 in the first instance, the conference will also seek to offset the impact of attendee travel and onsite food, beverage and energy consumption by investing in an ecological restoration project in Brazil or elsewhere in South America. We felt that for the world’s foremost gathering of restoration scientists and practitioners, this would be a fitting way to compensate for the environmental cost of our meeting and to leave a positive ecological legacy in the host region. The SER2017 Organizing Committee will allocate a portion of the conference income to help offset our collective impact during the event. This base contribution will be made on behalf of the entire delegation. We then encourage attendees to make an individual contribution as part of the registration process to compensate for your own impact, particularly your travel. You may donate as much or as little as you choose, but we encourage all participants to consider at least a small contribution to help the conference, collectively, offset as much of our footprint as possible. Conference attendees who do contribute will get to participate in determining which ecological restoration project(s) receive funding. The Organizing Committee will run a preliminary selection process based on a clear set of criteria to identify a small group of eligible projects from Brazil and neighboring countries, and to generate a short list of finalists. While at the conference, attendees will be able to vote for the project that they would most like to see receive our support. The Organizing Committee will tally these votes and announce a winner during the conference. The Center for Higher Studies of Conscientiology - CEAEC was founded in 1995, and is runned by volunteers from diverse cultures and origins who are interested in knowledge production and diffusion and. The first Conscientiology campus site was created in the Cognópolis neighborhood, Foz do Iguassu municipality, and it was chosen due to its special environment and ecological richness, favoring self-research. Since then, volunteers have been engaged in springs and river banks restoration within the campus and in the neighborhood, which the donation of native species seedlings produced by ITAIPU Binacional. We will be happy to welcome your visit for a volunteer day. Facilities: Transportation and snacks included.